(Facts About Chennai – 7 Things To Know) Chennai city which was formerly known as Madras is the capital of the Indian state Tamil Nadu. This city is also claimed to be the Gateway to South India. Despite the growing foreign influence the metropolitan city is yet to give away its culture. The 378-year-old city has a population of 9 million! yeah, you read it right! There are lots of historical facts about Chennai because of the rich history of the city. Apart from Rajinikanth, Chennai Super Kings, and ‘Filter Kaapi’, there are a lot of interesting facts about Chennai! At number 1 in our list of Facts about Chennai, we have Chennai’s landmark. Chennai’s Central railway station apparently appears to be the symbolic landmark for the city. You would have seen this building shown in movies whenever they want to convey the location is Chennai! Despite the existence of airports and metro rails, this still remains more prominent because this has been part of the city since British times. This city is known for its hospitality, irrespective of where you come from this city would make you feel home! Facts about Chennai include that Marina Beach is around 4-mile long making it one of the world’s longest beach! This beach attracts around 20,000-30,000 visitors on a daily basis. The brilliant hospitality of the city is indeed unique and an interesting fact about Chennai. The recent ‘Jallikattu protest’ saw around 5-6 lakh people gathered in and around this beach. Surrounded by many late stars’ memorials makes the place vibrant for anyone. An auto rickshaw ride is one of the foremost things one should definitely not miss when visiting Chennai. The yellow colored three-wheeler vehicle can get into any nook and corner of the city. Need any help in finding a place? Seek the nearby auto driver! Facts about Chennai include that they are even far better than Google Maps. PS – Asking the auto driver to use the meter will make him growl. It is just a mere showpiece! At number 4 in our list of facts about Chennai include that the Kathipara flyover at Guindy, Chennai is Asia’s largest clover leaf shape flyover! The flyover is located at the junction of GST road, Anna Salai, Inner Ring road and Poonamallee High road. This landscaping work is worth ₹150 lakh! At no. five in our list of facts about Chennai is the MAC Stadium aka Chepauk Stadium in Chennai is the oldest cricket stadium in India. The Chennai crowd is hail to be the most appreciable sporting crowd in the entire world! City where cricket is seen as a religion and not just as a sport! “Vandharai vazhavaikum chennai”. This famous tagline in Tamil means, Chennai is known for its hospitality ensuring visitors’ wellness. The list of facts about Chennai is incomplete without the fact that you can survive by speaking any language. People are always ready to help and guide anyone! 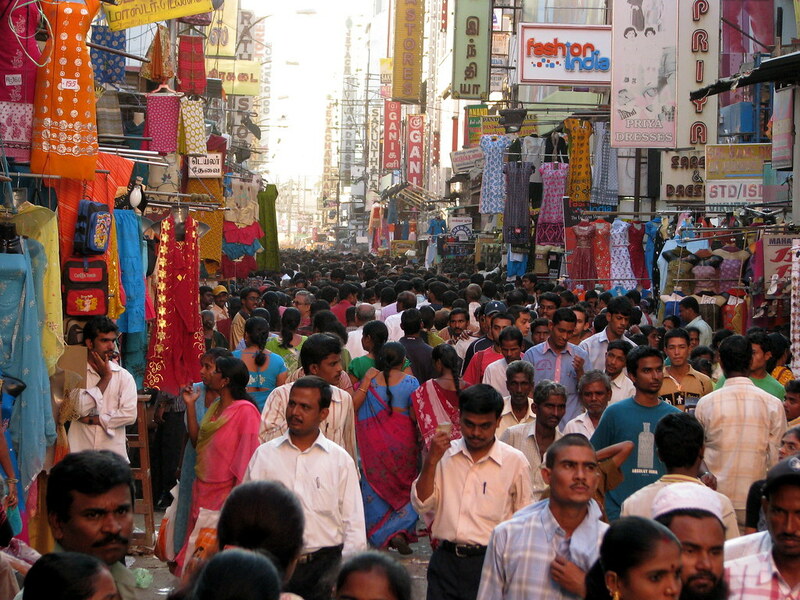 One of the busiest shopping streets in India are undoubtedly the streets of T Nagar, Chennai. Everything is available for sale here except parents! Clothes, jewelry, eateries, stationery, and almost everything are available at the same place that too at an affordable price, making it crowded. Pondy Bazaar and Ranganathan street experience is a must if you are in Chennai!